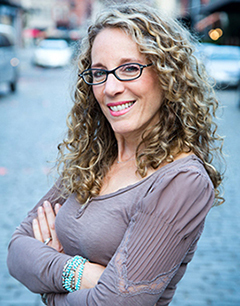 Drawing from the best of eastern and western traditions, Randi Luckman is a Health and Wellness Expert who has spent the past 25 years coaching individuals and corporations toward whole health through education, diet and exercise. An Integrative Nutritionist, Certified Health Coach, Certified Life Coach, Certified Metabolic Typing Advisor, Reiki Master, and Certified Aromatherapist, Randi holds a Master of Science in Food and Human Nutrition from New York Medical College, a Bachelor of Science in Food and Human Nutrition from Herbert H. Lehman College, and a Certified Dietetic Technician's Degree from The New York Institute of Dietetics. Randi works with a diverse range of clients, from single moms to Fortune 500 executives, and lectures on topics ranging from emotional eating and weight loss to stress management, disease prevention and aging gracefully. Click here to read more about Randi’s services, or contact us for more information.